The flags of two powers – that of the United States and Britain – have been lowered at the Bastion-Leatherneck military complex in Helmand Province. Both have had a history with Afghanistan its soldiers would rather forget, along with soldiers of the International Security Assistance Force (ISAF). It was a history that they need never have had. US Army Lt. Gen. Joseph Anderson could call it a “truly historic day”, one which concluded the coalition mission after years “of continuous combat, countless hours of sunbaked patrols and numerous casualties”. Such comments hardly count for votes of confidence, and historic days can be ones of momentous defeat as well as those of victory. When the analysts take their scalpels out to examine the mission, the sober ones – at least those who haven’t drunk of that vile urn that is patriotism – see very little to cheer about. “America’s long war in Afghanistan isn’t likely to end well,” wrote Stephen M. Walt in Foreign Policy earlier this year, “and the American people seem to know it.” They were not, he ventured, as “gullible” as all that. Walt proceeded to go through the “top 10 mistakes” that were made during the conflict. There was that howler of unilateralism, a costly failing of the Bush administration. Go it alone, and to hell with the rest. There was bumbling over the issue of capturing Osama bin Laden, though Walt can’t resist speculating that killing or capturing Bin Laden at Tora Bora would have prevented al-Qaeda from morphing “into a global franchise”. The 2004 Afghan Constitution took the step of over centralising at the expense of regional distinctness, something that would only have been possible with a stable, functioning civil service. The US political establishment, all in all, lost the vote in never finding the lasting rationale. Even British Defence Secretary Michael Fallon would find himself conceding to Andrew Marr on the BBC that, “Mistakes were made militarily, mistakes were made by politicians at the time, and this goes back 10, 13 years, some time now.” The fall-back position, as it always tends to be, is to focus on “what has been achieved”. That said, Fallon drew something of a cordon around the Afghan mission, signposting it with unequivocal warning. The mission was both said and done. British troops would not “under any circumstances” be deployed again to the country, despite the almost guaranteed spike in insurgency attacks. So much to be said, then, for the mission that its own orchestrators could barely justify. To claim that a conflict has closed is to assume some sense of its beginning. It may have ended for certain combat personnel, but the war remains very much an open-ended one that has done nothing to, whatever Fallon thinks, eliminate “safe havens” for terrorism. 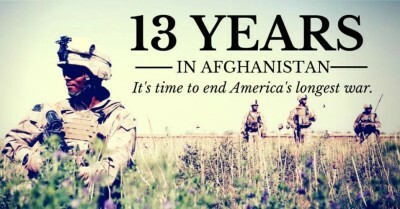 Afghanistan is the country of perennial conflict, a state that has never been entirely weaned off the teat of war. Much of that has not been the making of its own people, who have become the modern era’s stoics in the face of cruel circumstance. Invading states have shown themselves to be inept pupils with misguided leaderships, and the only constant in this are the recycled battles and encounters that prevent the country from developing. Afghanistan remains a country empires go to die.